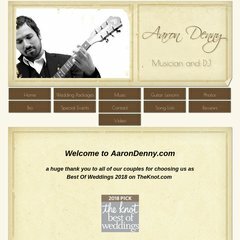 Topics: Wedding Music Tips, Acoustic List, Bouquet Toss, Cake Cutting, Ceremony Music Suggestions, and Ceremony Tips. Its IP Number is 66.132.217.221. Peer 1 Dedicated Hosting (Georgia, Atlanta) is the location of the Apache/2 server. It has 2 DNS records, dns2.sitezoogle.com, and dns1.sitezoogle.com. A ping to the server is timed at 62.6 ms.